After dreaming that a great flood will inundate Holland, Dutch creationist Johan Huibers decided to build a replica of Noah’s ark to exact Biblical proportions. At 450 feet long, it is the size of an oil tanker, Sky News reports. It dwarfs everything on the local landscape, including the windmills. His daughter Deborah manages the ark, which is now open to visitors. She says that it took four years and three months to build the ship, and that only five people, including one carpenter, were involved in building it. Metal hulls of old barges were welded together and the rest was constructed with Scandinavian pine. It was built without technical drawings, leading to delays in getting permission to open it to the public. A request to moor the ship on the River Thames this summer to teach the millions of Olympic fans about Christianity was dropped because of delays in dealing with potential fire hazards. The four floors contain replica animals and some live ones. According to Huibers' daughter Deborah, believers in the Mayan end-of-the-world prophecy are confused, wondering if a flood is coming again. She said that people have been asking if they can stay on board and book a room. For his next project, Huibers wants to pipe water from the Mediterranian to fill the Dead Sea. Humanity will survive the supposed December 2012 apocalypse, but, unfortunately, so will irrational doomsday fears, scientists say. Doomsayers around the world are gearing up for armageddon on Dec. 21, based on predictions supposedly made by the Mayans more than 1,000 years ago. Even after the sun rises Dec. 22, however, many folks will be only momentarily reassured, quickly latching onto another scenario purported to bring about the apocalypse within their lifetime. The persistence of these worries stems from a variety of factors, researchers say. The deluge of misinformation on the Internet, poorly developed or underutilized critical thinking skills and plain old human nature all contribute, convincing many people to fear the worst despite the lack of compelling evidence (and the poor track record of such dire predictions over the years). "There have been end-of-the-world predictions every few years throughout history, really," said astronomer David Morrison, head of the Carl Sagan Center for the Study of Life in the Universe at the SETI (Search for Extraterrestrial Intelligence) Institute in Mountain View, Calif. "We had two or three last year." Though Morrison and other scientists work hard to tamp down fears of Comet Elenin, the mythical planet Nibiru and other supposed agents of impending doom, their voices of reason have a hard time being heard these days. "We are completely drowned out by the doomsayers on the Internet," Morrison said. "It's very hard for the truth to even get a hearing." It's especially hard to reach young people, most of whom seem unable to distinguish between reliable and unreliable sources, he added. "At the best, they will just count numbers," Morrison said. "'Well, there are 83 websites that say the world will end in 2012, and one that says it won't. So it must be true.'" 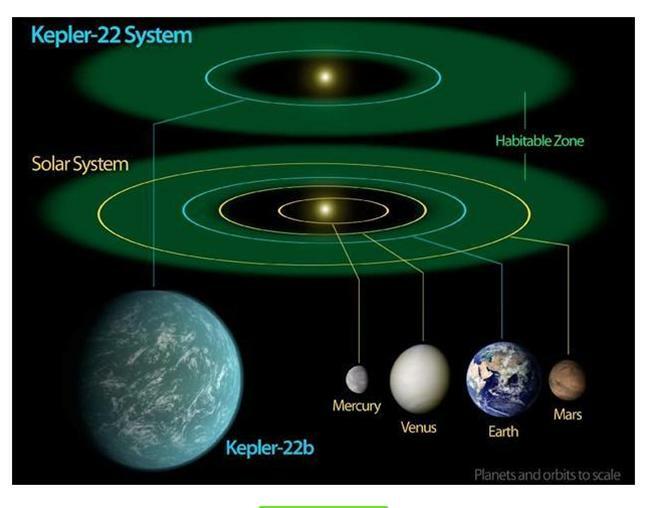 Not all of the misinformation is coming from altruistic folks who just want to get the worried word out, said fellow panelist Andrew Fraknoi, chair of the astronomy department at Foothill College in Los Altos Hills, Calif. Some of it is probably pumped out by people trying to make a buck. "Today, it seems like money is much more important than truth, that anything goes," Fraknoi said. "Fear-mongering has become a large and profitable industry." Data from the publishing world appear to back him up: A search for "Doomsday 2012" books on Amazon.com returns nearly 200 titles. The Millerites, for example, believed that Jesus Christ would return to Earth in 1843 or 1844, and that the world as we know it would be destroyed in the process. Another group called the Seekers thought a huge flood would ravage our planet on Dec. 21, 1954. The Seekers' leader, a Chicago woman named Dorothy Martin, claimed to have gotten this information from aliens living on the planet Clarion. We shouldn't be too surprised whenever such cults grab the headlines, said Leonard Mlodinow, a Caltech physicist and author of such books as "The Drunkard's Walk: How Randonmness Rules Our Lives" and "The Grand Design" (which he wrote with Stephen Hawking). "I think it's a very natural human phenomenon," Mlodninow said. "People who we consider very rational believe such things all the time." He cited today's major religions, saying that they would have seemed just as odd and irrational as the doomsday cults if we'd encountered them back in the early days, before they became so well established. "I don't consider those people particularly weird," Mlodinow said of modern doomsayers. "I just think that they're early adopters, you might call them." There's likely some ego-boosting pyschology involved as well, said panelist Seth Shostak, a senior astronomer at the SETI Institute. "To some extent, it's a very empowering thought — that you know something very important that those nerdy, pointy-headed, tweed-jacketed academics down at the local university won't acknowledge," Shostak said. "I think you have to look for the answers there." Whatever their causes, doomsday fears are quite prevalent in the United States and abroad. For example, a poll commisioned by the news agency Reuters earlier this year found that 15 percent of people worldwide — or roughy 1 billion folks — believe the apocalypse will come during their lifetime. In the United States, the figure is 22 percent. Such worries aren't just interesting sociological or psychological phenomena, Morrison said. They can have tragic consequences for believers. "At least once a week, I get a question from a young person — usually 11, 12 years old — who says they are contemplating suicide before the end of the world," Morrison said. "I know of several cases at least of reported suicides, of people who are obsessed with the end of the world in 2012." The best way to combat irrational doomsday worries — especially among the young — is education, Fraknoi said. We need to teach better critical thinking skills and instill a love of discovery that will inspire kids to seek out the truth — and make them less likely to be gulled by fanciful rumors. "Ask yourself the question, 'Why should I believe a word of this?'" Fraknoi said. "If you know how to answer, 'Why should I believe a word of this?' then you're much closer to scientific truth." Follow SPACE.com senior writer Mike Wall on Twitter @michaeldwall or SPACE.com@Spacedotcom. We're also on Facebook and Google+. Jeff Flaningham owns a unique part of American history that sits underneath a field in central Kansas. But he is wanting to part with it. He is hoping someone will want to spend $425,000 to buy a super fortified underground bunker. There are 72 of these type of decommissioned missile silos across the United States, and 12 of them are in Kansas. "One of the most secure hardened structures ever built by man," Flaningham said. He hails from Wisconsin. 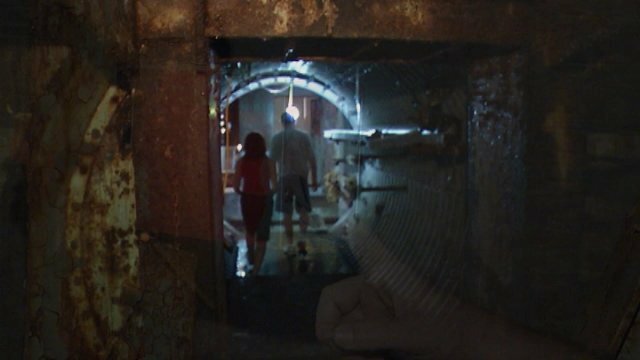 KCTV5 received an exclusive tour of this unique property. Watch the video to see inside the silo. The massive, secure and expensive missile silos were built discretely in spots like the middle of Kansas. Flaningham's is 17 stories deep. "There was an elevator in here that would raise the missile to the surface," he said. "There were scenarios that came very close to a retaliatory strike, but luckily cooler heads prevailed. And we get to enjoy this stuff today." So who would enjoy owning a missile silo? With Mayans and others predicting the end of the world, Flaningham is hoping there's a market. "Survivalists, conspiracy theorists, doomsdayers, there (are) any number of people," he said. "It's one of the safest places you can own on the face of the planet and an excellent spot to build any type of luxury living that would consider building above ground." It also comes complete with its own escape hatch. "This is the ultimate big guy fort," Flaningham said. Click here to see Flaningham's eBay ad. Copyright 2012 KCTV (Meredith Corp.) All rights reserved. Amateur video shows flood engulfing bridge in Beijing - YouTube: " "
Several areas in the Channel 11 viewing area were damaged Friday afternoon when heavy rainfall led to flooding. A slow-moving cold front brought periods of heavy rain and thunderstorms throughout the afternoon and into the evening. The National Weather Service said gauges have reported rainfall of more than 2 inches per hour, and that's caused flooding of streams and low-lying areas. Emergency crews said people were pulled from flooded cars in some areas, but no injuries were reported. “It was terrible. We were down at work and my work said we had to leave so I started to drive north and I was fine. Then my car just stalled out,” Susan Vietmeier said after being rescued from her car. Heavy flooding was reported in the South Hills. The intersection of routes 51 and 88 and the intersection of Mifflin and Lebanon roads were flooded and closed for several hours. The roads reopened shortly after 4 p.m.
Route 51 remains closed in both directions between Maytide and Saint Norbert streets. Emergency crews were sent to the area to monitor the situation. “We had two rescues, not by boat, performed in the area of Route 51. One was a gentleman stranded in the water. His condition seems to be fine. The other was a person in a car. I don't have more details other than that,” Director of Public Safety Michael Huss said. Jim Andeits, who owns A-1 Auto Mart on Route 51, said he saw about five feet of water covering the road and parking lots. Anthony Miranda was driving along Route 51 when he said he noticed the water level getting higher and higher. “It started flooding a little bit at a time. Then it came up to my door and I put my window down and it started coming in through the side of the car so I swam out through the window,” Miranda said. Fifth Avenue in McKeesport was also shut down after reports of flooding there. “Water just started coming out of the creek and going crazy,” George Massacci, who was in Pittsburgh’s Bon Air neighborhood, said. There are also reports of flooded streets in North Fayette Township along Mahoney and Oakdale roads. “It's hard to predict these things because they happen so quickly, but I'm happy with the response we had today,” Mayor Luke Ravenstahl said. Meanwhile, officials said Kennywood Amusement Park was closed Friday afternoon due to the severe weather. Those who were in the park at the time received free tickets to come back. ScienceCasts: A Taste of Solar Maximum - YouTube: " "
Planet X Nibiru Do you Want to Hear Insider Tell His Story About Watching Nibiru Coming In? - YouTube: " "
Solar flares; are they the beginnings of the Doomsday prophecies. When we look at the Mayan and their advanced knowledge of our solar system, even the most skeptical individuals may need a moment to pause. On Friday July 6, 2012 a ‘X-class’ eruption showed the power of the Sun’s 11-year solar flare cycle. With Friday’s ‘Coronal Mass Ejections’,http://www.swpc.noaa.gov/today.html NOAA Space Weather Prediction Center reported, that the flare was 15 times the length of Earth, and say that more X-class eruptions will usher us into 2013. Are these the events Mayans had witnessed and foretold of, incorporating them into their prolific prophecies? Were they telling us that over the next few months, we will not only have to take cover, but also change the way we do everything going forward? What will the future hold, or are we looking at the beginning of society ending, mega destruction? Scientists everywhere disprove the theory of a global killing solar ray, yet even the best scientists only have historic and perceived data on this twenty-thousand year cycle. Geologists and cosmologists alike cannot predict the idiosyncrasies of the Sun’s actions or their impact on Earth; they too can only report what events have taken place. Taking in the latest heat wave that engulfed North America, will we soon be slathering on the SPF 1000? On the other hand, will we be looking for ways to survive in the depths of the Earth? People at Vivos: http://www.terravivos.com believe, so much that they have placed a hefty price tag on their six-month all-inclusive packages. For the deluxe model stay in Indiana, you only have to dole out a mere $50,000 per adult and $35,000 for each child. However, for the budget conscience they have downsized some of their luxury suites to accommodate 1000 souls for the price of $9,950 per person in their economy section. Remember the Titanic, steerage anyone? Angry Stockholm's Bus driver KILLED my BABY! Iranians in Stockholm Celebrated Tirgan Colorfully. Don't Mess with our Religions! Ethiopians in Stockholm. Life Stops If Unassisted: Persons with Severe Multiple Impairments of Sweden. Ethiopians in Sweden condemned today's Conviction against Eskinder Nega et al. Nearly hundreds of Ethiopians residing in Sweden and friends of Ethiopia staged a peaceful demonstration outside the Ethiopian Consulate here in Stockholm early this afternoon to condemn Meles Zenaw's kangaroo court ruling which convicted prominent blogger Eskinder Nega, opposition party leader Andualem Arage and 22 other innocent Ethiopians at home and abroad who were charged with dubious terrorism charges and treason. According to AFP, an Ethiopian court on Friday jailed a journalist for 18 years for "terrorism" and 23 others, reporters and activists, for between eight years and life, after a trial condemned by rights groups. The protesters demanded all Ethiopian & Swedish journalists who are languishing for the crimes they didn't commit at the infamous Kality prison, to be released immediately and unconditionally. The demonstrators chanted slogans which depict their solidarity with all prisoners of conscious held under the guise of Ethiopia's infamous "anti-terrorism" Law. Mesfine Negash who sought asylum in Sweden and one of the 24 defendants who was sentenced to 8years at today's trial said that he was neither shocked nor surprised for being sentenced since there's no rule of law in Ethiopia. He further said, Ethiopians at home and abroad should show their solidarity with today's victims of miscarriage of justice and thousands of Ethiopians who're being incarcerated by the ruling party. He said Ethiopia has become a prison state and Ethiopians should strengthen their peaceful struggle to reclaim their birth rights. The protesters displayed PCs, cameras, pens, note pads, recorders and other materials which symbolizes freedom of expression which they believed are being under constant threat by the Ethiopian regime.